My name is Robert F. Smith and I am totally blind. 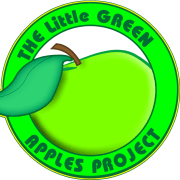 I am the Director and Co-Founder of The Little Green Apples Project. The purpose is to inspire Intentional acts of kindness without any expectations. Through our major fund raising event, "The Kindness Walk", we raise funds to assist Veterans, First Responders, those who are disabled, or children who have life-threatening challenges or circumstances. "Even a blind man can see that one act of kindness makes the world a better place...and that world begins with you." robert f. smith. The Kindness Walk 2018, the primary focus for The Little Green Apples Project, was a tremendous success. I walked from Long Beach California to Las Vegas. Our goals were to secure the funding to secure a service dog to be trained for a child with severe autism and diabetes. Mission accomplished. We wanted to reach out to medical centers, schools, and cities to inspire them to do acts of kindness. Mission accomplished. We distributed over 500 Doopalpoops - Sock Puppets With a Purpose. In addition we were able to do free concerts for Veterans Organizations, and along our path we assisted Veterans and honored them. We have received numerous awards and recognition for our work. This year, we will be walking for The Gary Sinise Foundation and Henry's Place. We will be walking from The Grand Ole Opry to Dollywood. The Kindness Walk will begin on September 6, 2019, and it will complete on October 1, 2019. It is our goal to have every step sponsored this year with a quarter, pass out 2,000 puppets and give out multiple handcrafted flags to Veterans. We will also be speaking at schools, churches and service organizations. We would love for you to share your talents to assist us in our success! Would you recommend LITTLE GREEN APPLES PROJECT INC?